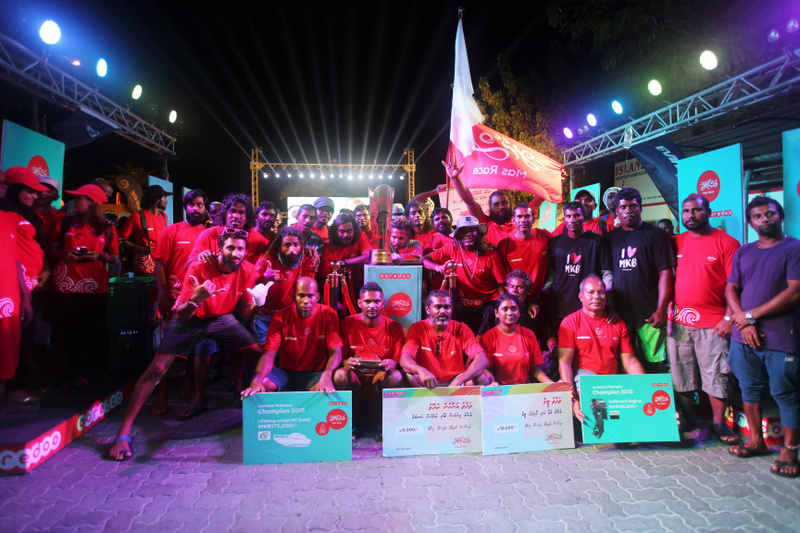 Team Malahini has been declared the champions of Ooredoo Mas Race 2018, winning MVR 325,000 worth of items as a prize. Malahini won the championship after beating Team Milaidhoo, Team Taj Exotica, Team HDC, Team STELCO and Team Enzi at the final. Malahini won a MVR 175,000 speedboat designed for fishing and a MVR 150,000 60 horsepower Evinrude engine. Ooredoo reports this year’s competition was highly competitive, and expressed the hope to see more teams at next year’s competition. The ‘Thafaathu Maakeyolhu’ prize in the male category went to Abdul Haadhee Mohamed from Team Milaidhoo who caught a 11.05 kilo faana during semifinals and to Nashaama Mohamed from Team Malahini – who caught a 10.5 kilo handhi. The two participants won a cash prize of MVR 5,000 apiece. Ooredoo invites more teams to participate in Ooredoo Mas Race 2019.